A metal called tungsten already has gained a tarnished reputation for contributing to a civil war in the Democratic Republic of Congo. But now, scientists believe there might be a new reason to be wary of tungsten: exposure to the metal may increase the risk of stroke. 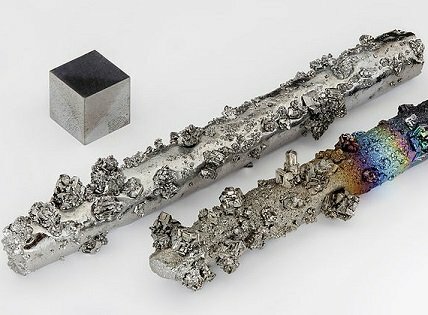 Tungsten, also known as wolfram, is widely used in products including laptops, mobile phones, light bulbs, ammunition, and jewelry. It is sometimes chosen because it is a good conductor of electricity and has the highest melting point of all metals. The question scientists are now trying to answer is whether tungsten can also harm people’s health. According to an article in U.S. News and World Report, researchers at the University of Exeter in England examined data from more than 8,000 people in the United States. The scientists found that people with high tungsten levels in their bodies, as measured by urine samples, may have double the risk of stroke. The data came from the U.S. National Health and Nutrition Examination Survey, a program of the Centers for Disease Control and Prevention. Even before the study, consumers had reason to be cautious about tungsten. Gold and the so-called “3 T’s”—tungsten, tin, and tantalum—from Congo are known as “conflict minerals” for their role in helping to finance a civil war in Congo. The war has claimed more than 5 million lives since 1998. Rebel groups get so much of their funding from conflict minerals that the U.S. Congress passed a law requiring companies to disclose whether their products may contain gold, tin, tantalum, or tungsten from Congo. Might the U.S. government need to enact new tungsten restrictions—this time, regulating tungsten as a pollutant? Possibly, but a lot more research needs to be done. According to Fox News, although researchers uncovered a possible link with strokes, they don’t yet understand how tungsten affects the body. “It could increase inflammation in the brain, or it could have some genetic impact,” said the study’s lead researcher, Dr. Jessica Tyrell. Another area of uncertainty is how people get exposed to tungsten. An Environmental Protection Agency fact sheet on tungsten states that those most at risk of exposure are individuals, including miners, who inhale tungsten particles at work. But researchers are also trying to figure out how the general public gets exposed to tungsten—whether it is through products, the environment, or both. “All we know is that tungsten is in the environment and we’re definitely using it more,” Tyrell explained. One possibility is that when products containing tungsten are disposed of in landfills, the tungsten seeps into groundwater and affects food or water supplies. Scientists are increasingly finding evidence that tungsten, once thought of as chemically inert, isn’t as stable in the environment as once believed. The U.S. military until recently used tungsten in its ammunition as an eco-friendly alternative to lead. But then scientists found evidence that tungsten from army shooting ranges was seeping into groundwater (and possibly causing cancer), prompting the military to stop making tungsten bullets. There are still more questions about tungsten than answers. But certainly, this would seem to be another case where the interests of miners converge with those of consumers—much like mercury pollution caused by gold mining affects both gold miners and the general public. A greater understanding of tungsten’s health effects would benefit everyone.